I've never done a tagged post before but when I was looking around for some questions for a Christmas tree post I couldn't find one so some twitter friends suggested I do my own so here it is. The questions are at the end if you fancy having a go. Our Christmas tree normally goes up the weekend before Christmas. We always start out with the best intentions to get it earlier but it never happens. This year it was especially difficult with lots of let downs but we finally got one on Thursday afternoon from a man on gum tree who cut it down in this garden in Dundee. The Christmas tree in our house has always been and will always be a real one. Even when I have my own house I don't think I could move to a fake one. The oldest ornaments on our tree are baubles that were on my grans tree when my mum was little. I like having old things like that on the tree but we also buy a few new things every year. The newest things on the tree are the flying robins (pictured below) and they were got last year. This year we bought a large red heart and a metal bird but they are too big for the tree and will be hung somewhere else. The birds have to be my favourite decoration. I just love the tree with our robins sitting in it. 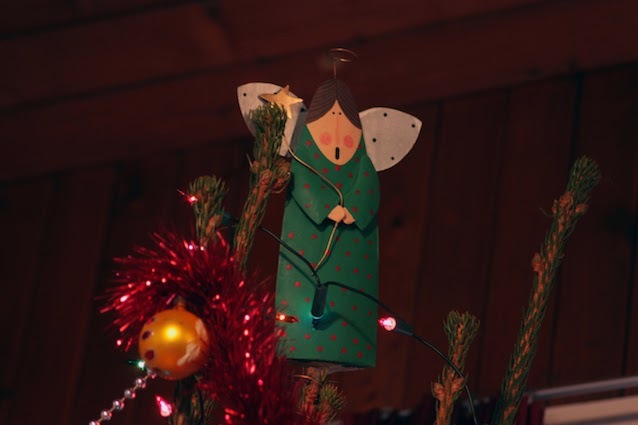 On top of our tree is fairy snuff- she has been there since I was little (about 2 or 3) and my dad always puts it on. It is the only decoration he puts on and he does it because it is 12 ft in the air. We switch between one tree and two. We always have the huge tree in our main living room but sometimes there is a smaller one upstairs. Last year I begged dad to take me into B&Q to buy a small tree that was still in its pot and it will be going up this year too. I won't bring it in until christmas eve because it won't be happy being inside for too long. I hate hate hate chaser lights or lights that flash and twinkle and fade. They look slightly tacky and also how could you have them in your living room!? (Sorry) I also don't like 'fancy' tinsel- it doesn't need to be patterned and have stars on it. Does it? 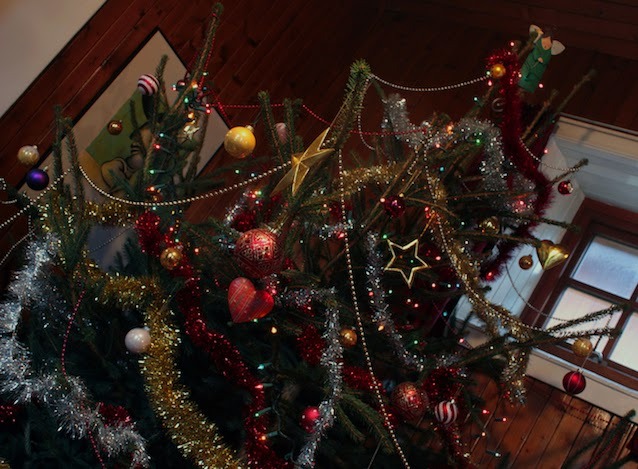 As you can see our tree is a big of a mish mash of decorations. We are attracted to red and gold ones though but it doesn't have a theme. Our ornaments come from 100s of different places but they are all sort of boho/Indian shops. You know the type that you go into to get something original for a gift or something for your house? The big red, the white and red ones, blue and purple ones are all from ikea (the beads are also from there). Who doesn't love ikea? Unless you can count a lot of tension and some shouting as a tradition no. It is a lot of work to do decorate a big tree like ours and since my brother has grown up (and started gaming) it has been mum and I who decorate it which is nice. Wheat is your oldest and newest ornament? 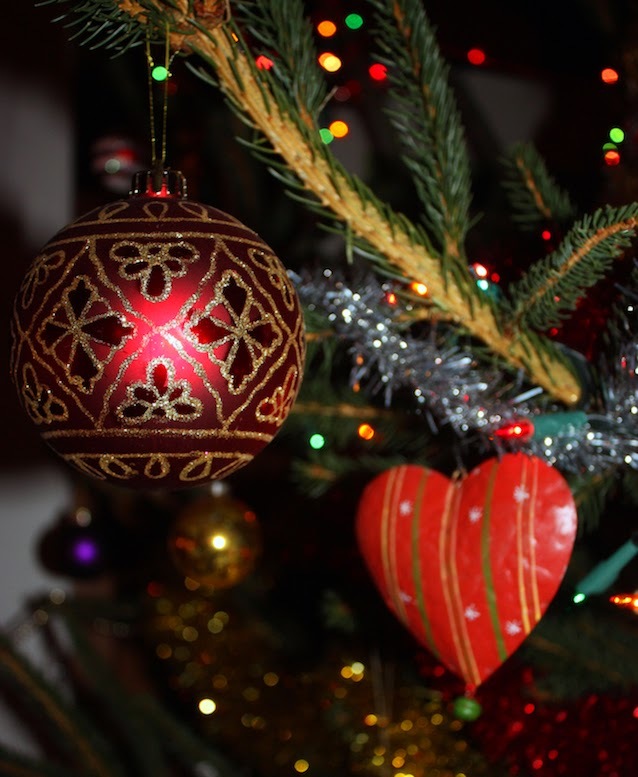 Do you have a favourite decoration? What goes on top of your Christmas tree and who puts it there? How many trees do you put up and which rooms do they go in? 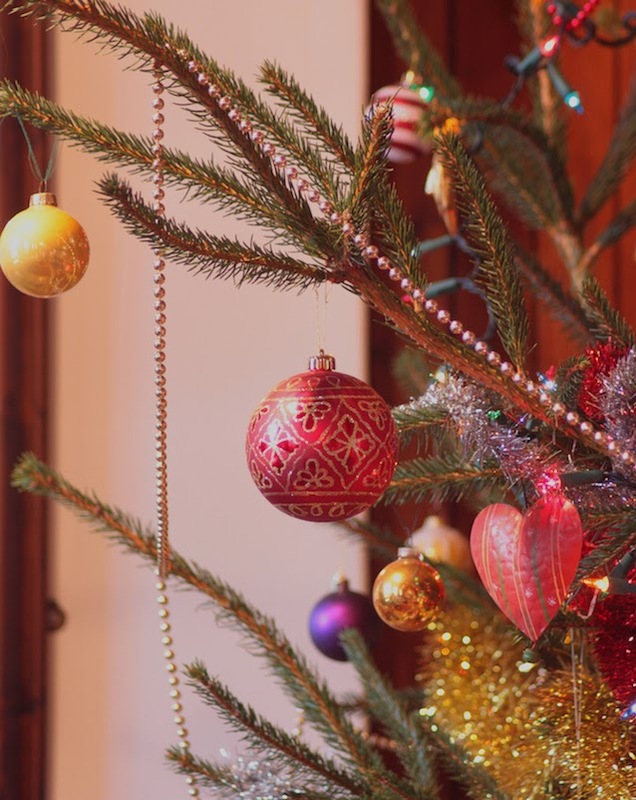 Do you have any pet hates in the way people decorate their trees? 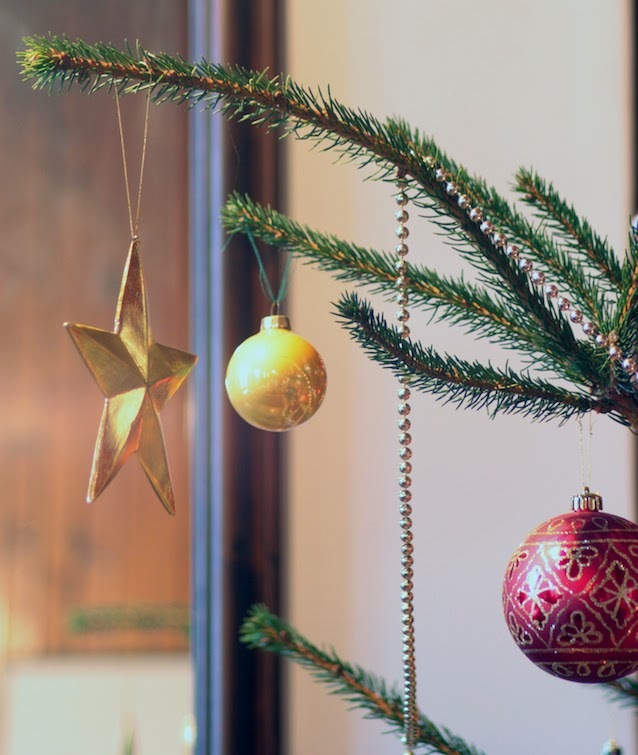 Where have you bought your ornaments from? 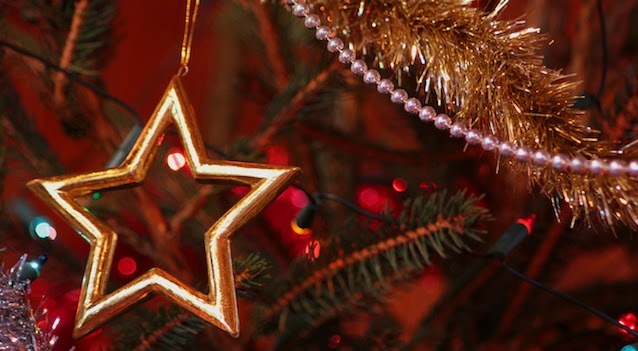 Does your family have any quirky tradition when they put up the tree? and if you do send me some links! This is such a lovely tree! Have a most Merry Christmas!